This Prototype is taken from Apple’s official website. The website mainly focuses on displaying products. As for its layout, it uses large pictures with concise texts. It is refreshing and concise while highlighting product advantages and increasing the attractive value of products. 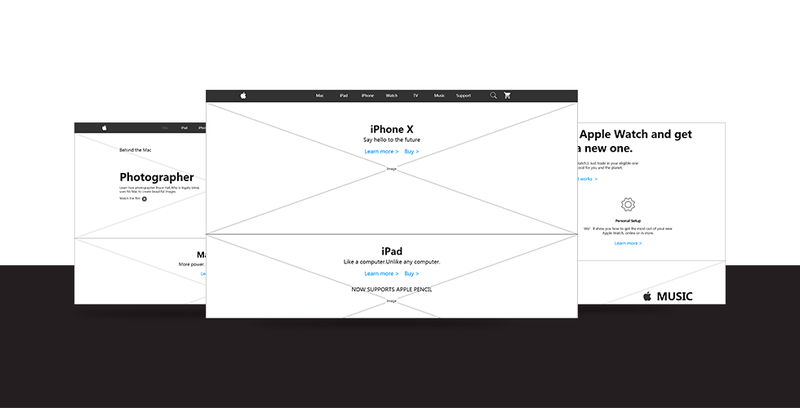 This website adopts the interaction mode of secondary navigation, and presents a number of Apple products with a concise graphic layout. Apple is a high-tech company in the United States and is the world’s most valuable brand which leads the global digital product design trend. Pages of this prototype: Home, Mac, iPhone, Watch, iPad.